Concise details on the Donkey trekking Stevenson tour can be obtained by downloading the tour pdf [right]. Alternatively, read the tour description below and click through the sub-headings in the right-hand column for information on access, accommodation, availability, content and prices. onkey trekking Stevenson is quintessentially green, modern and yet retro. So leave your car or camper van at home and enjoy a walking holiday that reduces your carbon footprint to an absolute minimum. It’s also light on your back, as the donkey carries your luggage and backpack – subject to a maximum 30 kgs per mule. Hey, this is an animal- friendly experience as well! Your holiday commences with a short training session in donkey handling and asinine negotiating skills, and is your first opportunity to meet your travel companion for the next six days. Be firm, but fair! You’ll learn much that will prove invaluable both during and after your ‘guided’ walking adventure across Velay and Gévaudan. Life changing? Just maybe! But don’t worry – full scale maps and comprehensive walking notes are provided and there’s local back-up to handle any donkey-related difficulties! You can then experience the delights of hiking across 105 kilometres or 69 miles of rich and varied terrain between Le Monastier and Chasseradès; following in the footsteps [and hoof-prints] of Robert Louis Stevenson and his trusted companion, Modestine, à la “Travels with a Donkey in the Cévennes” (1879) whilst championing the cause of modern-day, ecologically-friendly adventure travel. Donkey trekking with RL Stevenson takes you to the Plateau de Chambonnet on your last day’s hiking. At 1310 ms altitude, the highest point of your trek, you cross the Atlantic–Mediterranean watershed and head down valley to Chasseradès and the Mirandol Viaduct. Bid a fond farewell to your long-eared friend and please return next year for Part Two of The RLS Trail – with or without a donkey! Light-to-moderate hiking across two distinct historical regions – made lighter and/or moderate due to the addition of the donkey! 7/7 Emergency telephone back-up & support and emergency assistance for the donkey. ¹ Note: This means one piece of luggage per person, each weighing up to 15 kgs. We can also transfer extra/ overweight luggage for a small supplement – please ask for details. Departure by train to Nimes [90 mins.] and onward TGV train north or south; or fly from Nimes airport to Brussels or London Luton by RyanAir. Generous picnic lunches and diners showcasing regional specialities are available on demand from your hosts. Donkey trekking Stevenson – Tour Itinerary. The fine climb out of the deeply-incised Upper Loire gorge and past chateau Beaufort leads you through isolated and picturesque villages on route to Le Bouchet St Nicholas, Stevenson’s first overnight stop, with its fine lake. 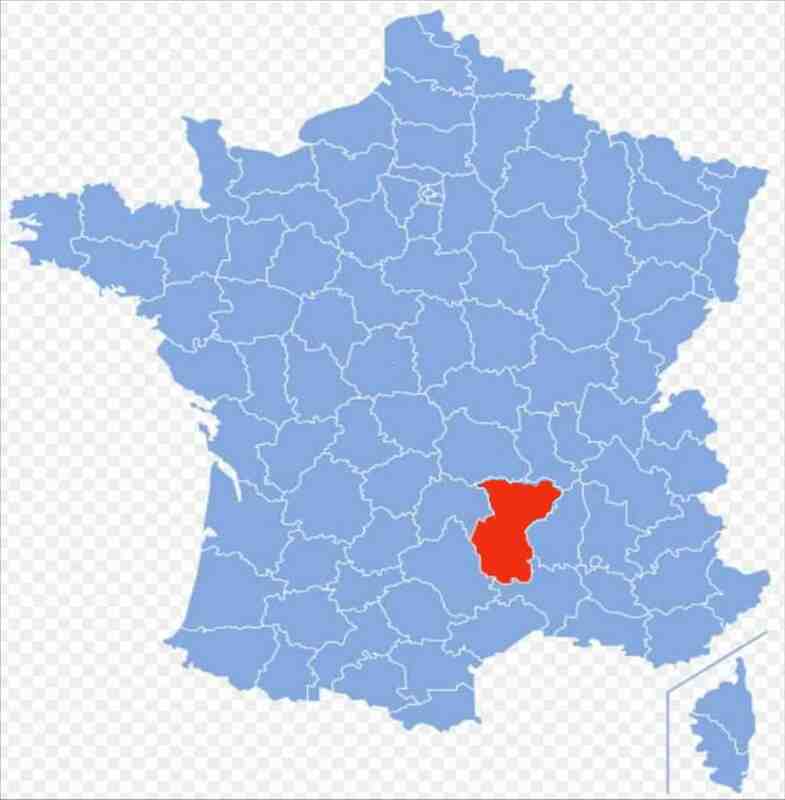 You descend to Langogne along a trail shared with the Regordane way, into the land of the ‘Beast of Gevaudan’, through forest and charming hamlet en route to the medieval village of Cheylard, repleat with church, chapel and abbey. You climb through the Gardille forest and have lunch beside its eponymous lake, before climbing, then descending, to the impressive ruins of Luc castle. 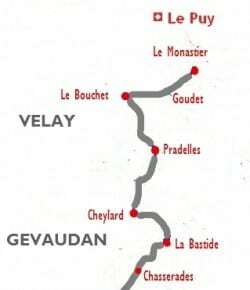 Then you follow the medieval Regordane Way alongside the Cevenol railway and cross the Allier River en route to the historic resting place of La Bastide Puy-Laurent. Climb to the Chambonnet Plateau and through the Gardille forest en route to the charming hamlet of Chabalier. You cross paths again with the l’Allier before descending to charming Chasserades. Day 7: Departure day – Short morning transfer back to La Bastide for onward train north or southwards. See you next year for Part Two of the trek!